One topic that always come up when women are sewing for themselves is altering patterns to provide the perfect fit. 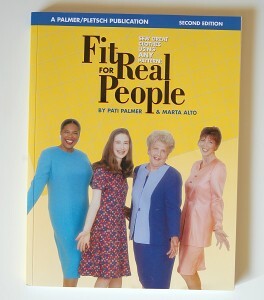 With that in mind, I went looking for books about pattern fitting to suggest to you. 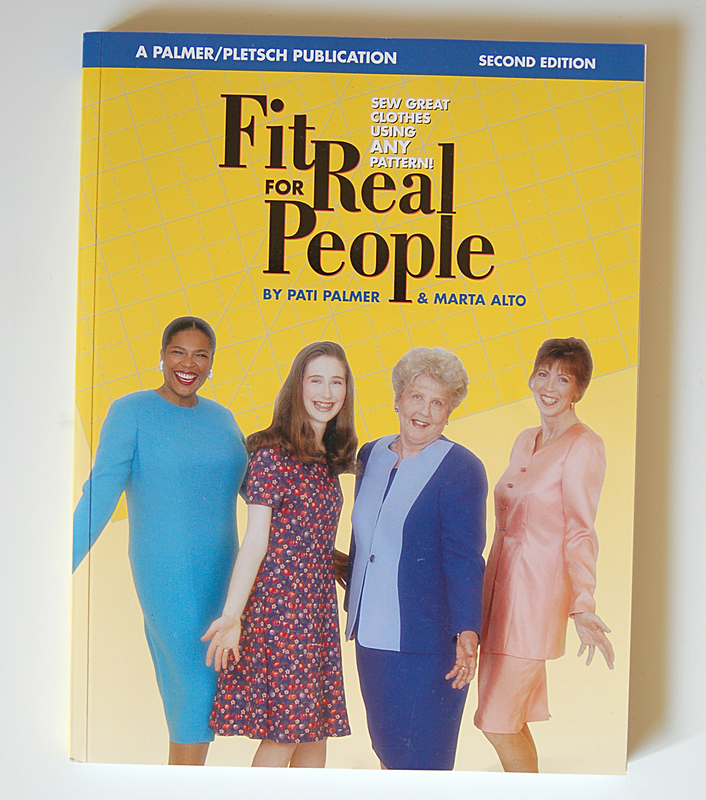 Fit for Real People, by Pati Palmer and Marta Alto, is a great resource that I can recommend with confidence. Don’t let the outdated photographs throw you off. This book was originally published in 1998 and looks it. But there’s a very good reason why it’s still in print. 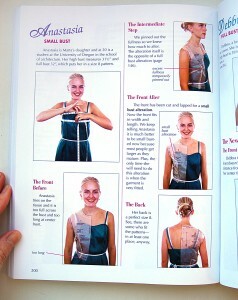 It’s an excellent guide that I think you’ll find to be very valuable and useful as you sew. 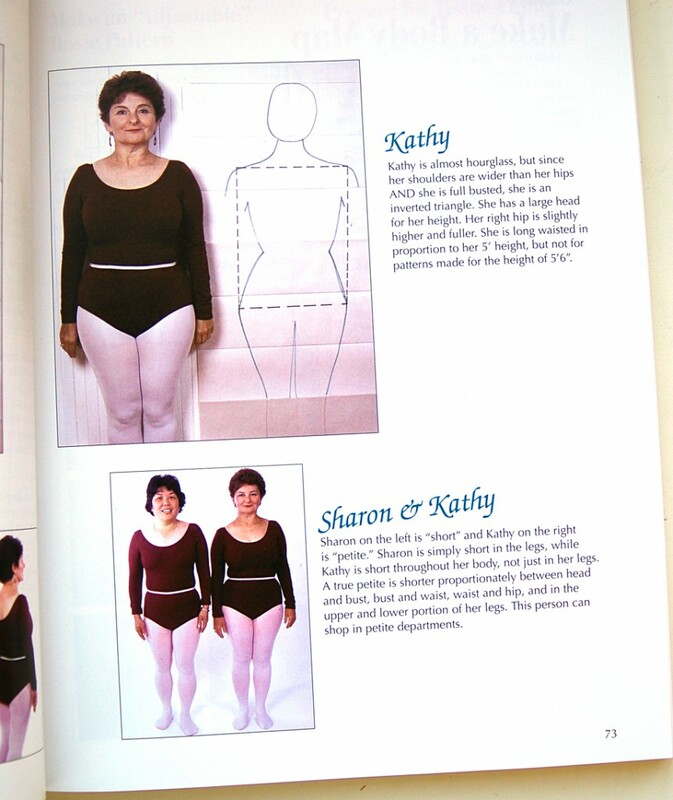 Before you even begin to fit patterns to your own body and preferences, the book demonstrates how you can create a body graph to really evaluate your body shape and help you to determine the changes you’ll need to make to a pattern. The body graph will also help you to determine what styles will look best on your body. I’ve never done this but am determined to try it now that I’ve read this chapter. 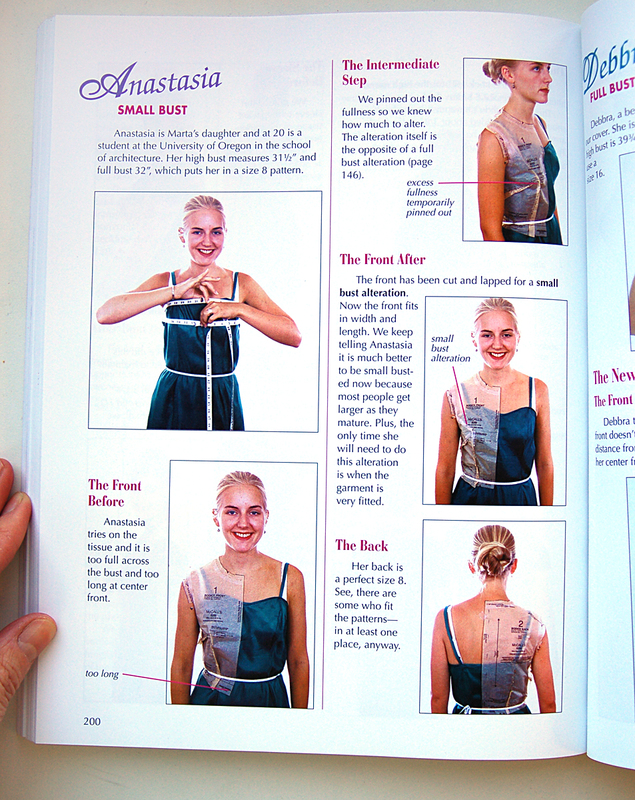 You certainly don’t have to do this in order to make use of the book, but I think it would be very informative not just for sewing, but for making smart shopping decisions with ready-to-wear clothing as well. You’ll have a much better sense of which silhouettes and proportions are flattering to your body, and how to camouflage the parts you’d rather not highlight. 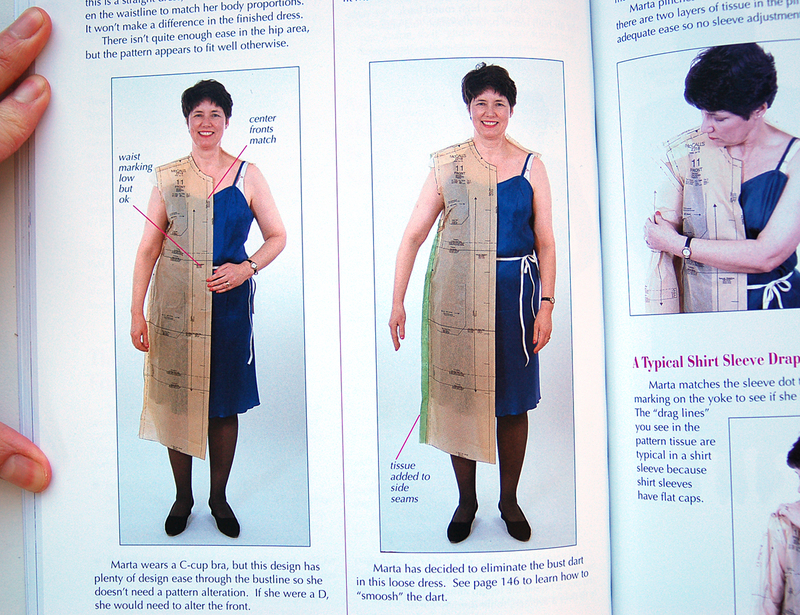 For fitting itself, this book shows you how to “tissue fit” the pattern tissue itself, making adjustments to the pattern before you even cut out your fabric. This may sound unusual, but it can be very effective and save you additional steps down the road. If you prefer not to tissue fit or need to see how your fabric drapes in order to get a better sense of the fit, you could certainly apply these same methods to a muslin/toile or to a tracing of the pattern. And for those of you who don’t like to make a muslin, you’ll probably really enjoy the efficiency of this method! The most valuable sections of the book show how to make almost any adjustment or alteration you can imagine. If you have a full bustline, no bustline, sloped shoulders, wide hips, etc., you’ll find instructions, photos and diagrams showing how to make those changes to your pattern or muslin. Toward the back of the book you’ll also find a sort of “case study” using real people to demonstrate the principles of fitting. These photos are extremely valuable, since diagrams and illustrations can’t always give you a real sense of what you’ll be seeing when you fit yourself or a friend. The photos clearly show what changes were made and how those changes improve the fit. 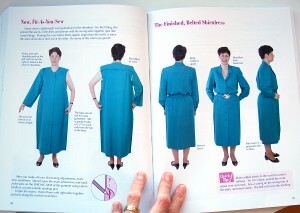 The final chapter includes a reference of sewing techniques that can also help to improve the fit of a garment. 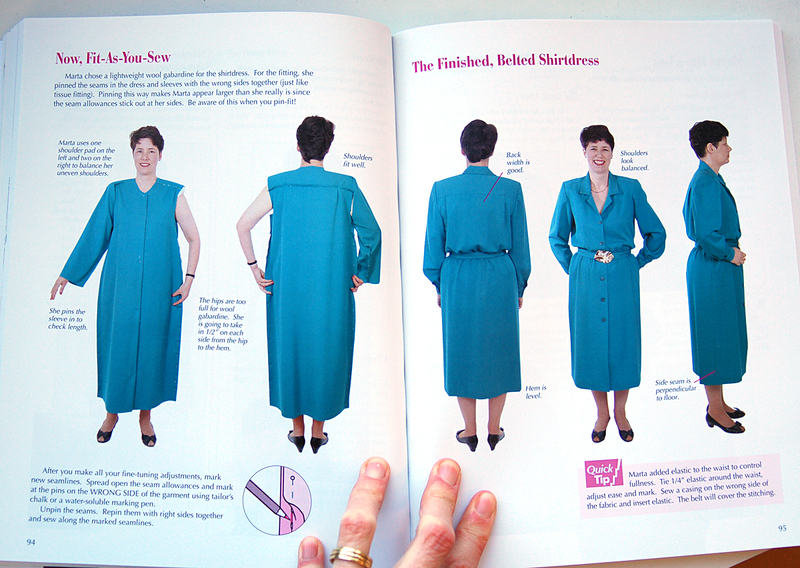 When you sew for yourself, it’s important to have a good reference book like this on hand. It will save you hours, and possibly a great deal of frustration, knowing that the answers to your fit questions are demonstrated and explained. I’ll be curious to hear what you think of it, and I’ll show you some additional books about fitting soon, too. Thank you, thank you, thank you! I’ve actually never sewn myself anything (I sew for the kiddies) because of the fit issue. I will be picking this up asap. Thank you for this helpful resource. I think its so true the quote from this book “the pattern is the manuscript; YOU are the editor”. Women’s bodies come in so many different shapes and sizes it is next to impossible to fit everyone from a single pattern. Learning patternmaking and fitting skills so so worth the time and investment for home sewers. Oh, thanks Liesl! I’ve been browsing for a book like this but it’s hard to tell what’s good and what’s not! Thank you for taking the time to recommend this book. It has arrived and I am reading it at the gym. This recommendation was so timely! It was just on special offer to McCalls Sew Loyal Club members in Australia so I have ordered it. I love this book, too! !